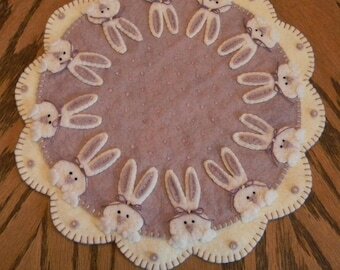 This adorable candle mat would be a charming addition to any Spring/Easter decor. The set can be easily stitched up using our Merino wool/blend felt. A wonderfully whimsical Spring design! This kit contains all of the Merino wool blend felt you will need to complete this candle mat and the PDF or Paper pattern. A sweet Spring delight! 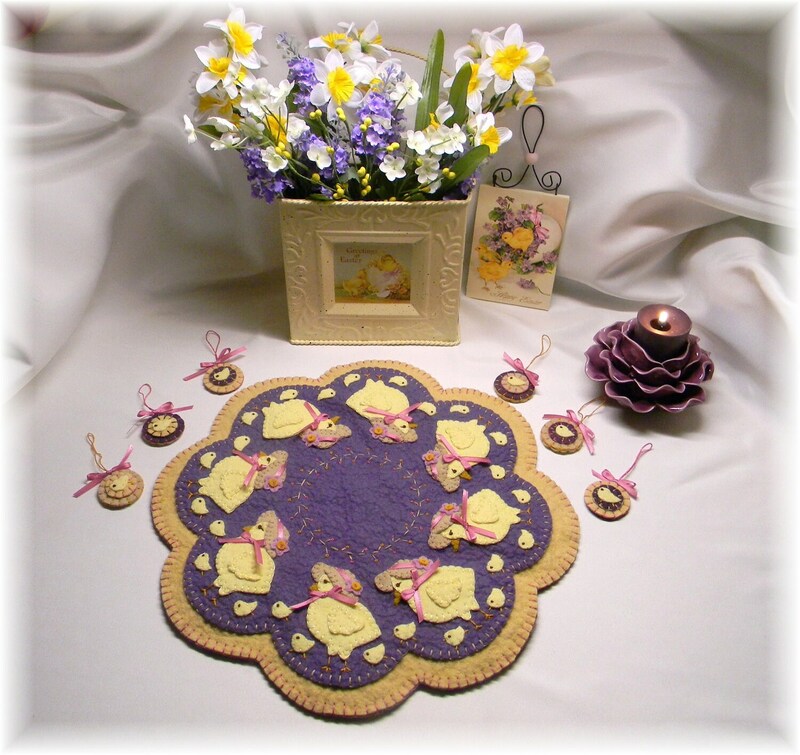 Candle Mat measures 12" and the adorable ornies measure 1-1/4".